I am preparing an image maker presentation for the Society for Photographic Education South Central Regional Conference in October titled “Don’t Lose Your Way”. The black and white image above will be the first in the Keynote slide show, one that I made as an undergraduate at Ohio University. 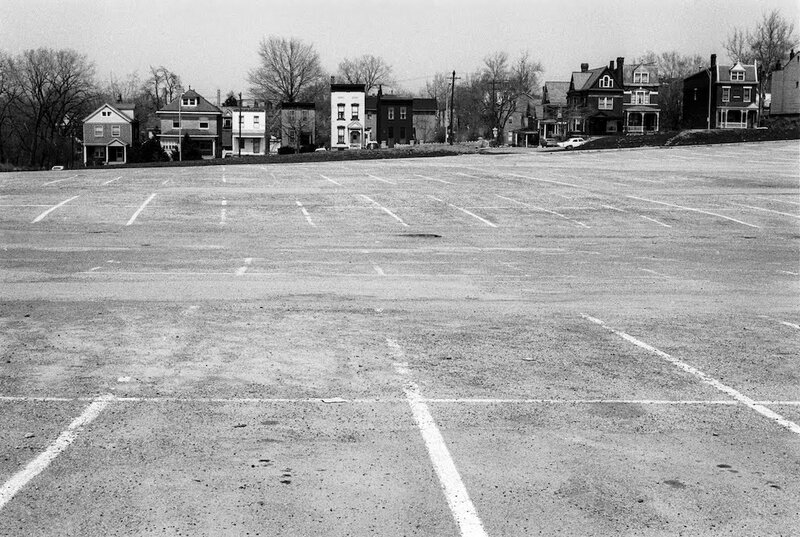 I had hitchhiked to Cincinnati where I saw this expanse of asphalt and the row of older Ohio industrial city style homes at the top of the frame. The thing is, I am still looking at these things today. I have returned to look at the landscape in much the same way I did then, I have found my way back. 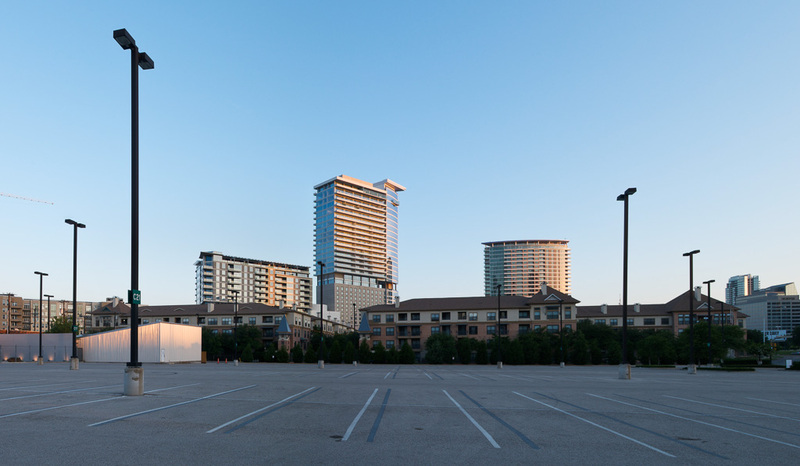 The image below was made last year in downtown Dallas, a parking lot with the W Hotel, high rise condos and four story apartments that surround the American Airlines Center.